*Title taken from new release from Kes the Band: Endless Summer. After such a long and difficult winter season, New Yorkers were ready for warm temperatures and outdoor parties. Rather than firing up the grill or heading to southern beaches as so many typically do, DysChick took to the streets of Brooklyn for a weekend of parties featuring great deejays from around the world, live soca performances, and, most importantly, anti-stush revelers. My plan to stay in on Friday night to watch a movie and avoid the intense rain that was drowning the northeast was ruined by a friend of mine convincing me to head to Verve at the Brooklyn Children’s museum. The text read: “You can watch a movie anytime. Soca is calling.” That's true. Besides, I can’t resist a good party, especially with a fellow socaholic coaxing me out of my cocoon. When we arrived around 10:30pm, the party was in full swing and the deejay was killing it with reggae. I tried to make my way to the bar, but with so many patrons ready to spend and have fun, it took a while to get my Johnny and Coke. Luckily, I got my drink in time to hear DJ Back to Basics get on the mic and get the crowd hyped with old school reggae and soca. Although there was so much space in the loft-style venue, the collection of bodies caused a heat so intense that I had to step back by coat check to get some relief. Of course, I did not stay there long. I ran back to the front of the dancefloor when he transitioned to old and new soca. As with any West Indian event in Brooklyn, the end time is merely a suggestion. When the deejay told the crowd that it was time to leave, they chanted back “We Want More! We Want More!” And more is exactly what we got. The party continued with D'Bandit out of Toronto playing music until at least an hour and a half after the stated end time. I must say that I have yet to go to a party organized by Back to Basics Entertainment that is not amazing! That’s right. I said it. Saturday night, I headed to the south side of Brooklyn to Canal Plaza for FRESH featuring Mr. Nutron and Kes the Band. The repurposed location with its high ceilings and hard wood floors looked amazing. However, it was soon clear that this space was not intended for loud, bass-bumping sound systems. The rattling could be heard in the vents and caused some people to look up fearful that the noise would be too much for the structure. We got over that once D’Enforcas out of Toronto, Artiste Team out of Trinidad, and New York’s own Road International played songs that kept us all jumping up, wining low, and even fist pumping. Mr. Nutron came on and had the girls bubblin' after a brief performance by Ziggy Bless, unknown to me and apparently to everyone else in the party. My heart goes out to unknown artists. It must be difficult to give your best performance while the crowd stares at you wondering who the hell you are. Well, no one had trouble identifying the band of brothers that took the stage last: Kes the Band! Without warning or introduction, lead singer Kees Diffenthaler ran on the stage and grabbed the mic, sending all of the ladies into a screaming frenzy. The group entertained with their latest hit Endless Summer, earlier tunes like Thunder and One Day, and even paid homage to other artists by covering tunes from Machel Montano, Blaxx, and Buju Banton. If this is going to be an annual event, DysChick will be back next year. If you checked out my review of Memorial Weekend 2013, you know that Shine 9 was indeed the highlight of the weekend. Well, the same holds true for this year. 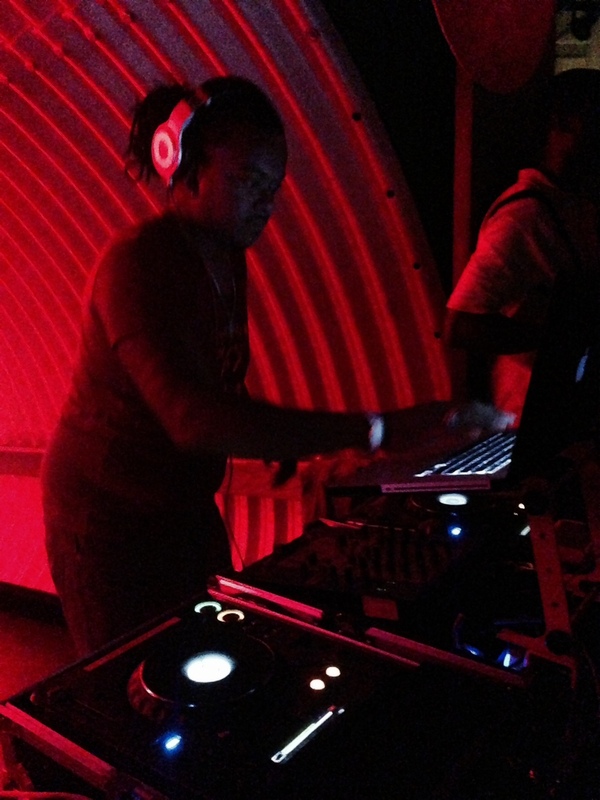 DJ Back to Basics et al celebrated 10 years of producing the can't-miss event of Memorial weekend. For the decennial, they brought out Beenie Man, Skinny Fabulous and last minute surprise guest Machel Montano HD! As usual, the party was packed with men and women abandoning the backyard barbecues they were no doubt invited to in order to come out to party at Shine. From the moment walked into the outdoor venue, I was moving to Sounds for Life. Before long, other deejays and artists took the stage. Although he was not originally listed on the first flyer, Machel Montano performed first. I could barely hear his "Heh Hah!" over all of the screaming fans. While everyone was staring at HD wining and jumping, my eye was drawn to The Red Dread, DJ Stephen from Atlanta, who kept his music in rotation. Afterwards, a host of deejays from around the world entertained the crowd - Ezel & Jon Boi from Trinidad, D'Bandit from Toronto, and New York's own DJ Big Reef making his debut at Shine. I have to give it up to Big Reef, I am not much of a hip-hop fan anymore, but he had me partying like I bump it religiously. While every one of these deejays were amazing, it was The Girls Dem Suga, The King of the Dancehall, Mr. Zagazow Beenie Man who had the crowd making the most noise. It is now Wednesday night and I am still recuperating from all of the fun I had this past weekend. Maybe it was the liquor, maybe it was the music, maybe I'm just getting too old for this...nah, it was definitely the music. If this was the prelude to New York's summer party season, I'm ready for an endless summer. Find out where these artists are performing next!